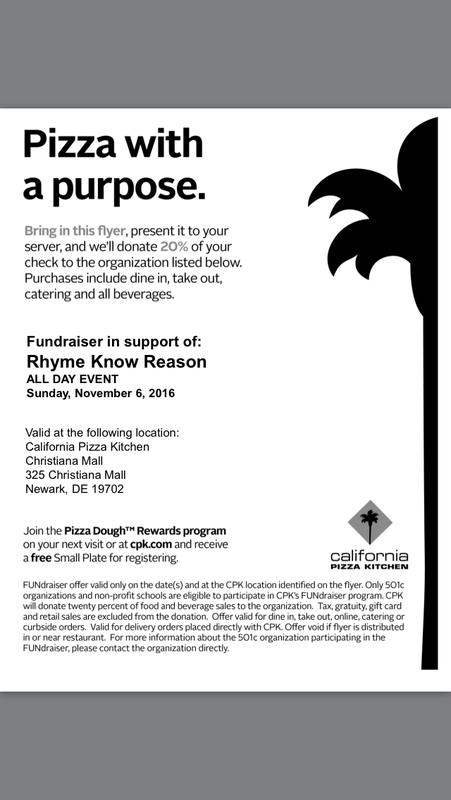 If you are heading out this Sunday to Mini MAKER Faire at Christiana Mall, why not grab a bite at California Pizza Kitchen too? With this coupon, 20% of your order will help support FTC robotics team Rhyme Know Reason with competition and travel expenses. PRINT THIS COUPON and HAVE FUN!